Enterprise cloud computing use has exploded in the past decade and shows no signs of slowing: Statistics from IDC show cloud computing spending is growing at 4.5 times the rate of IT spending since 2009, and it is expected to grow at better than six times the rate of IT spending from 2015 through 2020. But as enterprise IT environments become increasingly complex, the number of specialized cloud computing options available can be overwhelming for CIOs trying to determine which combinations will benefit their organization most. 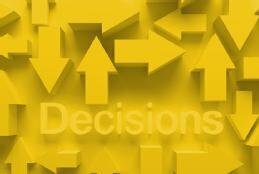 To decide, CIOs are turning to new strategies and considering new metrics. The bottom line for these experts? That would be the bottom line -- for the business. Before making any investment in cloud, IT execs are carefully considering whether the enterprise will truly be better off by doing so. Will moving certain processes to the cloud actually make the organization more agile? Will cloud use ultimately improve productivity? Does moving certain data to the cloud make it more vulnerable to security and compliance risks? The complexities don't end once these questions are answered either. Once the organization has decided which cloud computing options to invest in, the challenge of getting multicloud IT environments to work together begins. It's only after closely considering the costs associated with each of these factors that IT execs can determine what business processes can be moved to the cloud -- and which IT assets should never be moved to the cloud under any circumstances. In this SearchCIO handbook, industry experts describe the techniques they are using to determine what public, private and hybrid cloud computing options will most benefit business processes. These experts provide examples that prove that, with the right strategy, enterprise cloud adoption can ultimately spur innovation, reap efficiency and increase agility -- all without incurring undue risk. Calculating the risks and benefits of a cloud-first strategy is a difficult problem for CIOs with large, complex IT environments. Experts discuss the salient metrics to use. Organizations have steeped themselves in all sorts of cloud services -- whether public or private infrastructure or cloud software. Now comes the hard part. As CIOs gain experience in cloud computing, the cloud metrics they use are changing. Read how one CIO makes business value a priority in deciding which cloud services make sense. Modern CIOs are refining IT strategies to ensure the plethora of available cloud computing options spur innovation, reap efficiency and increase agility -- without incurring undue risk.